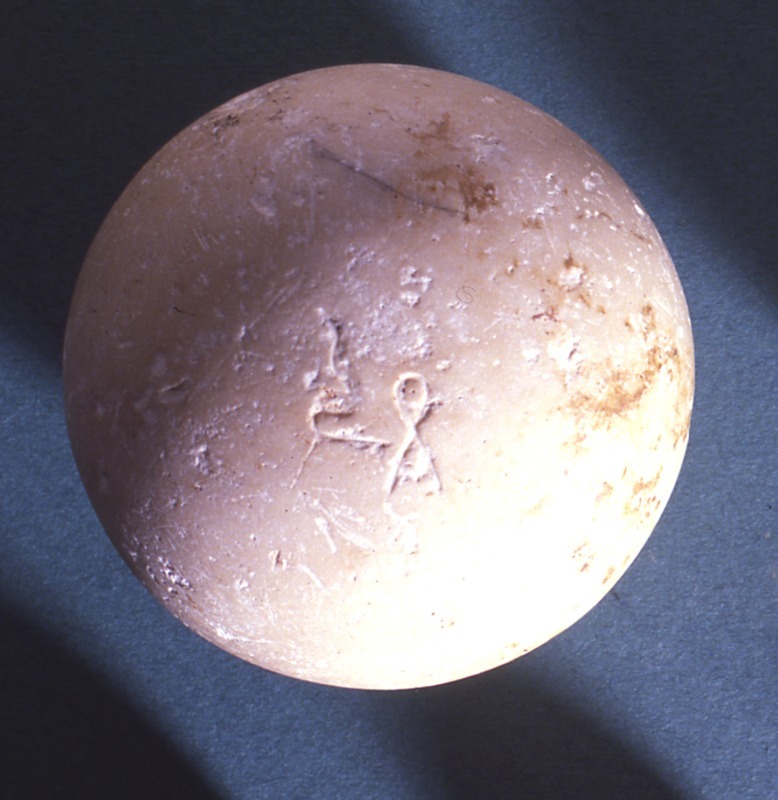 The presence of limestone weights in Jerusalem and Judah during the late Iron Age attests to an increasingly standardised economy. This economic system does not yet involve coins, which only appear during the Persian period, but does use precious metals. Because these metal pieces were not issued and guaranteed by a central authority, they had to be carefully weighed at each transaction. Stone weights like the one shown here were used, along with scales, in order to make these measurements. The reconstructed scales (the pans are ancient) give an idea of how such weights would have been used. 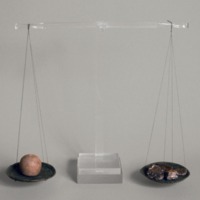 The presence of weights and scales throughout the kingdom of Judah attests to a shift from a subsistence-type economy, typical of smaller, more locally- and tribally-based societies, to a more complex state society, with centralised power and bureaucracy. The term shekel, which comes eventually to refer to a specific denomination and coin, originated as the word for 'weight'. This development is common to various languages: the lira and the pound, for example, were in the first instance terms for weight, only subsequently used for the currency used to represent the metal of that weight.